SAN ANTONIO, Nov. 8, 2018 /PRNewswire/ -- Plus One Robotics, Inc., a 3-D vision and controls developer for robotic automation in the logistics and e-commerce markets, has announced the appointment of David Scheffrahn as vice president of sales. 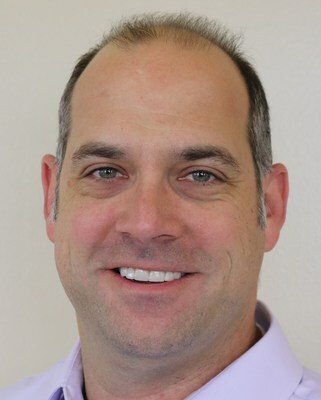 In his role, Mr. Scheffrahn will lead direct and channel sales efforts. Plus One's flagship product, the PickOne Perception System, is the best-of-breed 3-D vision system for the order-fulfillment and parcel-shipping markets. Rising consumer demand for shorter delivery times has increased the need for efficiency in handling and sortation of the millions of packages that must be handled each day. "The tight labor market and accelerating growth mean these e-commerce operators are eager for improvements in productivity. David's deep knowledge of our market, customers and partners make him the ideal candidate to lead our next phase of growth," said Erik Nieves, Plus One Robotics CEO. Mr. Scheffrahn brings more than 20 years of sales experience in automation and robotics, having previously worked at Yaskawa Motoman Robotics, Rethink Robotics, and most recently, Seegrid. "I have been in the enviable position to work with the world's most innovative retailers and supply chain companies. They understand that their employees are their most valuable resource," Scheffrahn said. "We share their vision to elevate human workers to value-added tasks and reduce their burden of mundane, repetitive work. When I was introduced to Plus One Robotics' customer community, leadership team and technology, I knew I had to be part of this." Additionally, Plus One announced the close of an $8.3 million Series A investment round led by Pritzker Group Venture Capital, with participation from Zebra Technologies. "We are delighted to add two more firms with deep roots in logistics and supply chain to our leadership," added Erik Nieves. Also participating in the round were Schematic Ventures, Lerer Hippeau, TCL Ventures, ff Venture Capital, Dynamo, and First Star Ventures. "Already working with some of the world's premier logistics providers, Plus One's best-in-class intelligent perception technology and human-centric approach are on a path to redefine how modern distribution and fulfillment centers operate," said Ty Findley, of Pritzker Group Venture Capital. "Erik, Shaun and Paul bring decades of domain expertise to solve this problem and they are uniquely equipped to capitalize on this large and growing market opportunity. We're proud to work closely with the team as they scale their vision." "We work with early stage innovative companies that share our ambition to drive productive, automated workflows through transformative technology," said Tony Palcheck of Zebra Ventures. "We continually seek effective solutions that provide a performance edge by intelligently connecting people, assets and data. Plus One Robotics augments manual human labor, freeing up personnel to focus on more value-add activities." Pritzker Group Venture Capital (PGVC) helps entrepreneurs build market-leading technology companies at every stage of their growth. Since its founding in 1996, the firm has worked side-by-side with entrepreneurs at more than 150 companies, building partnerships based on trust and integrity. The firm's proprietary capital structure allows for tremendous flexibility, and its experienced team of investment professionals and entrepreneur advisers offers companies a vast network of strategic relationships and guidance. PGVC invests predominantly in Series A and Series B companies with particular focus on consumer, digital health, enterprise and emerging technologies. For more information, visit pritzkergroup.com/venture-capital. Zebra (NASDAQ:ZBRA) empowers the front line of business in retail/ecommerce, manufacturing, transportation and logistics, healthcare and other industries to achieve a performance edge. With more than 10,000 partners across 100 countries, we deliver industry-tailored, end-to-end solutions that intelligently connect people, assets and data to help our customers make business-critical decisions. Our market-leading solutions elevate the shopping experience, track and manage inventory as well as improve supply chain efficiency and patient care. Ranked on Forbes' list of America's Best Employers for the last three years, Zebra helps our customers capture their edge. For more information, visit www.zebra.com.